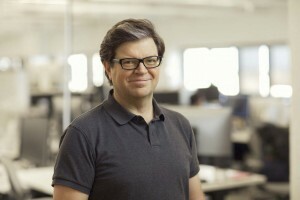 LeCun is Silver Professor of Computer Science at NYU’s Courant Institute of Mathematical Sciences, founding director of NYU’s Center for Data Science, and vice president and chief AI scientist at Facebook. LeCun has been serving on IPAM’s Science Advisory Board since 2008. He has also been an organizer, speaker, and participant for numerous long and short programs at IPAM, including IPAM’s current long program, Geometry and Learning from Data in 3D and Beyond and the upcoming fall 2019 long program, Machine Learning for Physics and the Physics of Learning. LeCun has also been a speaker for IPAM’s Green Family Lecture Series. Often referred to as the “Nobel Prize of Computing,” the A.M. Turing award has “honored the computer scientists and engineers who created the systems and underlying theoretical foundations that have propelled the information technology industry” since 1966. LeCun, Bengio, and Hinton will formally receive the 2018 ACM A.M. Turing Award at ACM’s annual awards banquet on Saturday, June 15, in San Francisco. Congratulations to Yann LeCun for this well-deserved honor and achievement!